[author (last name first)]. 2010. [story/poem/essay title] Piesta Ti Kailokuan 2005 Souvenir Program, [pages]. 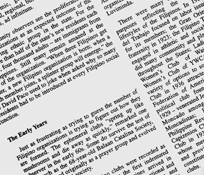 Pacita C. Saludes, Bridido Daproza and Lilia E. Del Rosario, editors. 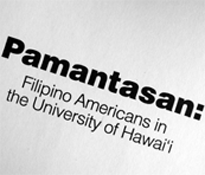 Honolulu: Annak ti Kailokuan iti America. http://www.efilarchives.org/pubications (accessed [date of download]). 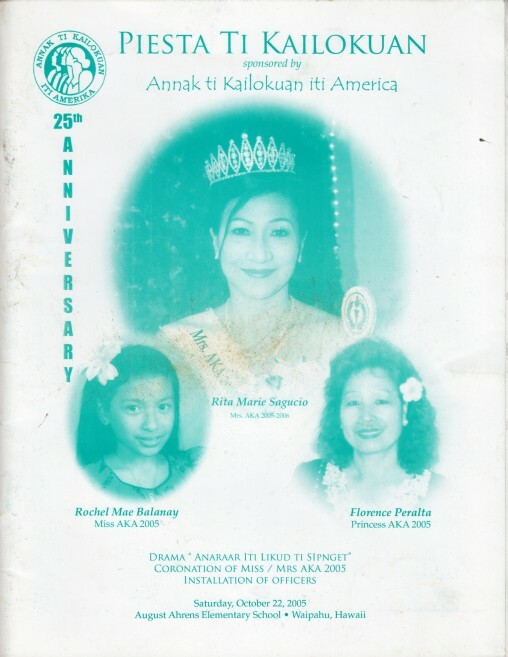 Souvenir booklet of the 25th anniversary Annak ti Kailokuan iti Amerika, and 2005 coronations of Mrs. AKA, Miss AKA, and Princesses AKA. Event took place on October 22, 2005, at August Ahrens Elementary School (Waipahu, Oahu).